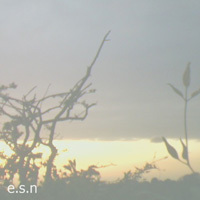 e.s.n (Electronic Sounds of Nature), joined forces after appearing on the sonic weekend, a collective recording session arranged by White Label Music in February 2007. A major influence on there music is the organic sounds of analogue equipment, drone based synth lines, percussive style analogue rhythms and textural bass lines. These feature predominantly in this exciting electronic three piece, with an ever evolving sound that merges organically and dynamically throughout their unique improvised performances. e.s.n are Will Plowman, Kaiton Slusher and Jash.